I was remembering when I observed Philip & Heather and Emile and the team having Luke consultant checked in Daloa – and there was so much spiritual opposition. Two snakes, one rather nasty, appeared in the garden. The telephone was cut off. With quite a few visitors expected for the checking, the toilet apparently blocked itself. Clare, a short termer, was mysteriously and painfully ill. Coincidences perhaps, but the passages being checked were about the crucifixion and resurrection of Jesus Christ the Son of God. 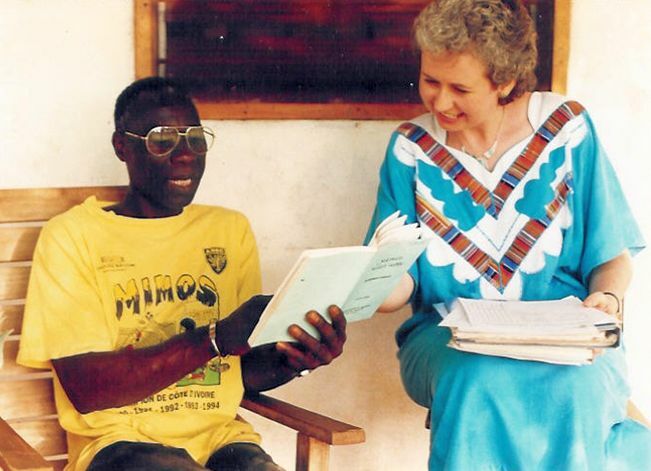 But Luke was checked and printed and I had the privilege of travelling back to Cote d’Ivoire in 1998 with Philip carrying the Gospels of Luke printed in Belfast and visiting all 13 Kouya villages to distribute them. 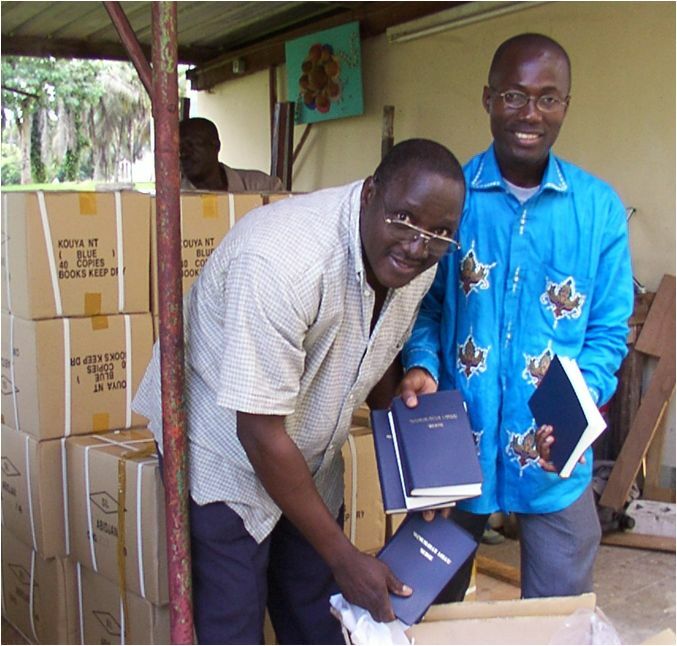 And then the NT was completed and arrived in Abidjan in 2002 the day after all the Wycliffe expatriates were evacuated. I was so upset at the frustration and sadness of the 10 year delay until the joy of the dedicace in March 2012. And now! The Gospel of Luke provides the script for the Jesus Film! Praise the Lord! May God use the Jesus Film powerfully to grow His Kouya church! Based on an e-mail that I sent to Didier. Photos added. Imagine seeing a film telling the story of Jesus: seeing him and all the other characters in the story; hearing them speak in your own language – perhaps the first film ever made in your language. What an impact that would have! During two weeks in March, Kouya voice actors recorded the parts of Jesus, his disciples and all the other characters in a makeshift recording studio in the village of Déma, sound proofed by foam mattresses placed against the walls. In fact there was heavy rain – and that was great news for the local farmers – but not if you are recording in a building with a tin roof! In fact Henry and Rosmarie Knecht, the main technicians, got malaria and had to spend a few nights in a hospital an hour’s drive away. But it was all completed on time! Henry and Rosmarie recovered in time to catch their flights from Abidjan. A digital draft of the Jesus Film has been shown in Déma, lots of people came to see it and can’t wait to get copies of it. We give thanks that the Kouya Jesus Film has been completed and pray for the final stages of production and distribution, so that the Kouya church can use this powerful tool to bring others to faith in Jesus. Wycliffe Bible Translators wastes time! At least according to someone who spoke to Eddie Arthur, Director of Wycliffe UK. A few years ago a prominent British Christian leader (names withheld to protect the guilty) told me that he couldn’t take Wycliffe Bible Translators seriously because we wasted so much time translating the Bible for tiny little people groups. I might just have ignored this as the ramblings of someone who didn’t know what they were talking about, but the person in question had just given the weekly missionary talk at a well known summer gathering. So what was the problem with this Christian leader’s opinion? Well, firstly, it was a rather ignorant caricature. We do work with some very small groups (the Kouya number not much over 10,000), but we also work with some groups of several millions. However, and much more importantly, the person in question really hadn’t grasped the nature of God’s mission to the world. 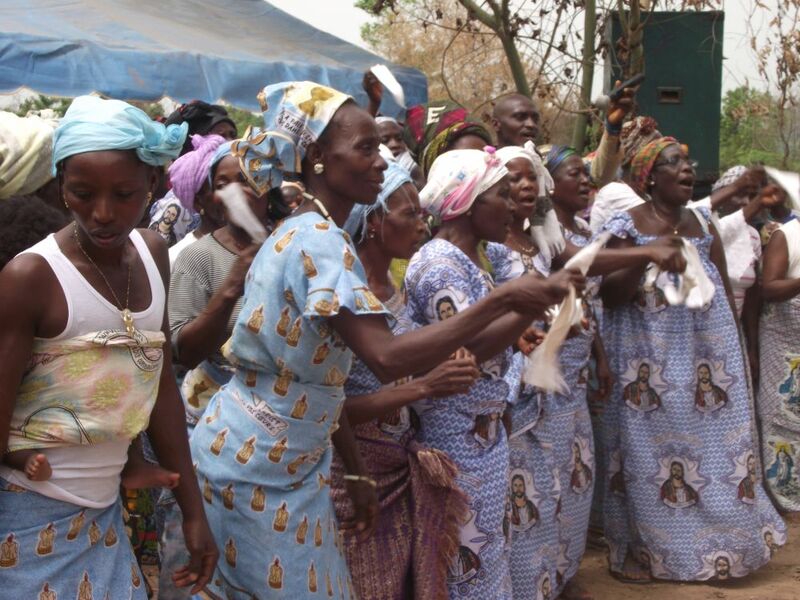 These Kouya women and girls from Ivory Coast were pretty excited at the dedication of their New Testament; I should know – I was there! 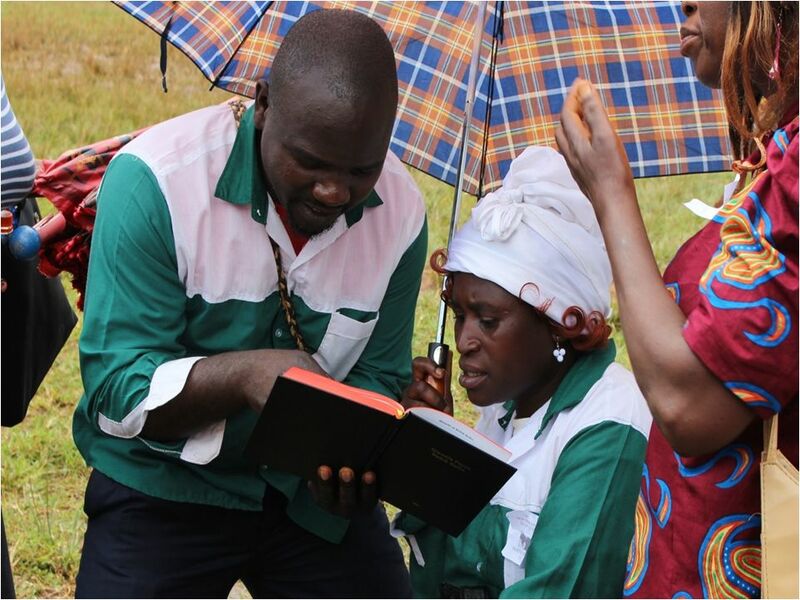 So were this Oku couple from Cameroon, studying their New Testament as soon as they received it! …in the upside-down world of the Kingdom of God, we simply can’t say that some groups are too small to deserve our attention. Our God is a God who continually reaches out to people wherever they are; we, his people, can do no less. 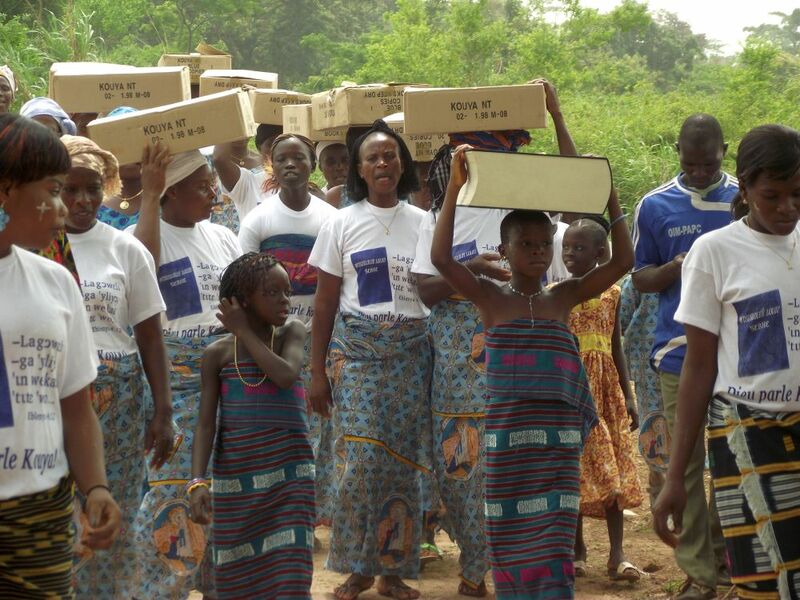 I’m very excited about something that is happening in the village of Déma in the middle of the Ivory Coast this week! 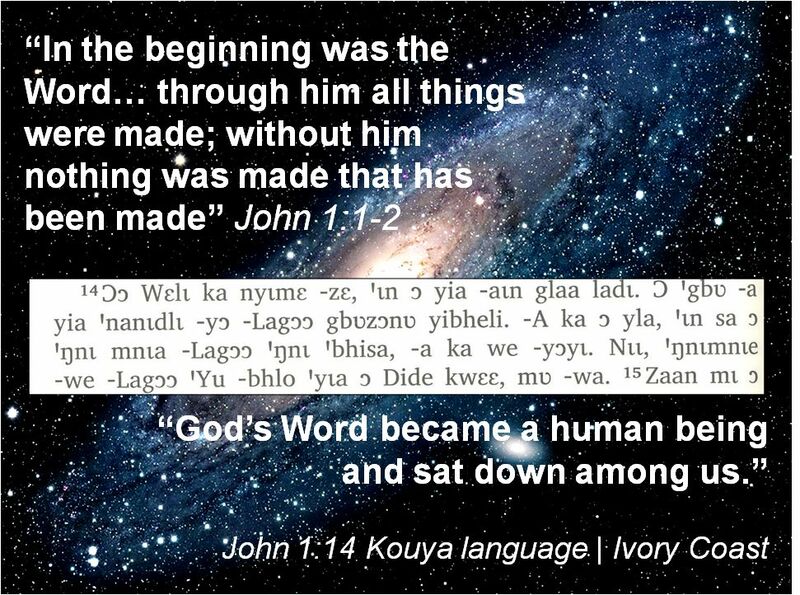 The Jesus Film is being recorded in the Kouya language. Starting this week is the recording of the Jesus Film into Kouya. 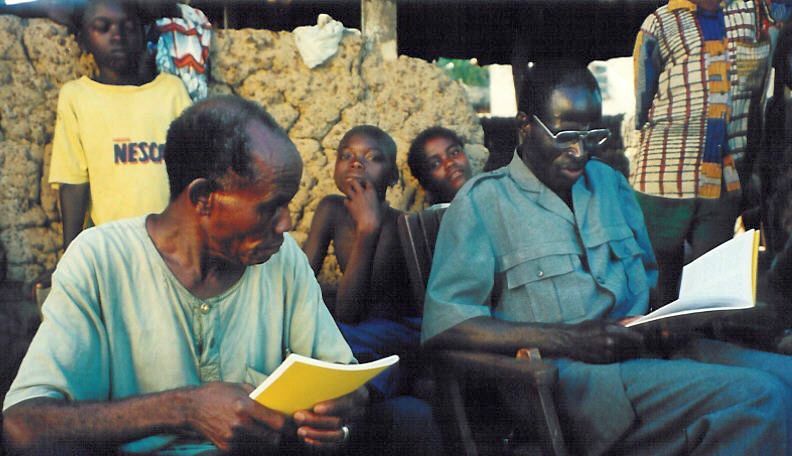 We are all excited about this: the translators and recording team in Ivory Coast, the local Kouya Christians, and the Arthurs, Hamiltons and ourselves, who worked together for many years in the Kouya area. 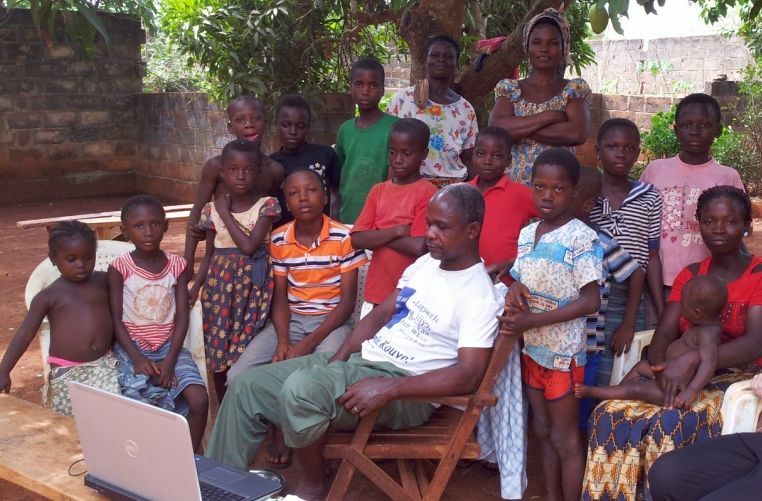 An experienced Swiss couple, Henry and Rose Knecht, have undertaken Jesus Film recordings in a number of Ivorian languages, and we praise God that they have made the time to include Kouya among these. The recording is to take place in Dema village where we once lived, and translator Emile is having our house prepared for the Knechts to stay in. Mattresses are being purchased to create a studio, and block out the village sounds. 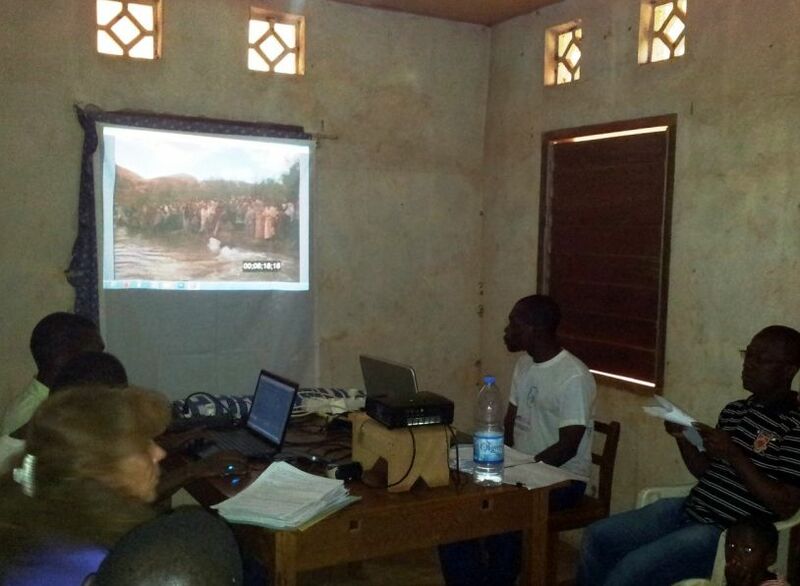 Sue spent time helping the Kouya team in Ivory Coast work on the script for the Jesus film. The excellent translation of Luke’s Gospel needs to be adapted to fit the needs of the film which isn’t always straightforward, but Sue was able to help the team think through different possibilities for the adaption. According to Didier in Abidjan, Kouya is still in her blood! In the future Kouyas may be able to watch and listen to the Jesus Film in their language via their smart phones… here is another Jesus Film blog I spotted this morning about Bete, another Ivorian language! Work experience for A level languages students..? With Wycliffe Bible Translators of course! Emma got the train from Coleraine to Belfast (at a ridiculously early hour for a teenager) to join us in the Belfast office for three days work experience. Here are her reactions. I had the privilege of spending three days at the end of January in the Wycliffe office in Belfast as part of my work experience. As a lower sixth pupil studying French and Spanish, where I could find a placement linked to languages that would not only be informative, but also interesting? So when my French teacher told me about the opportunity of spending a few days with Wycliffe, I was really excited. I first heard about Wycliffe through two members of my Church, Clarke and Alison Rice, who spent a year in Cameroon – and I believe that this is an area of mission which is both worthwhile and exciting. I didn’t quite know what to expect. Any Wycliffe work I’d heard about has been in places like Africa or Asia in towns and villages that speak foreign languages, not in an office in Belfast. So, when I arrived to find out that I had a varied programme ahead of me, I couldn’t wait to get started. 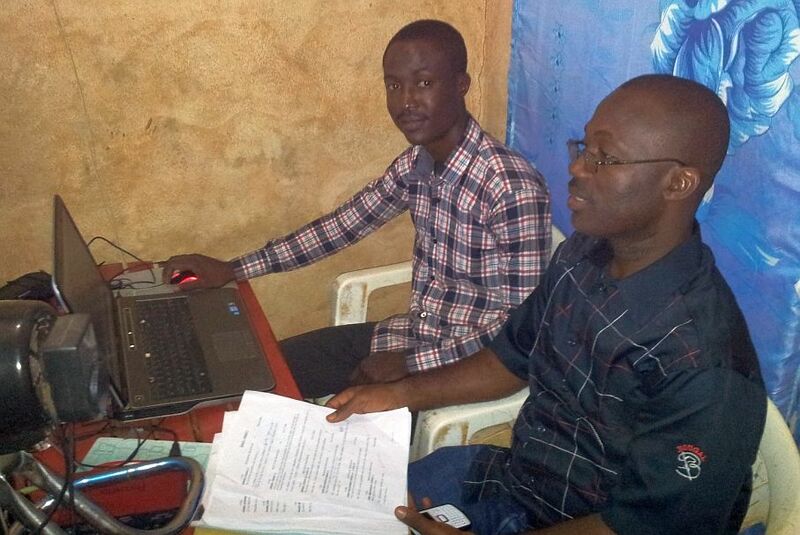 We began by looking at a general overview of the tasks involved in Bible translation, including the training process, language surveys, language learning and analysis, creating an alphabet, literacy classes, translation checking and typesetting. I had the opportunity to do some simple language analysis of my own and I really enjoyed looking at how different languages are put together and considering the impact of cultural issues on the way certain words or phrases are translated. 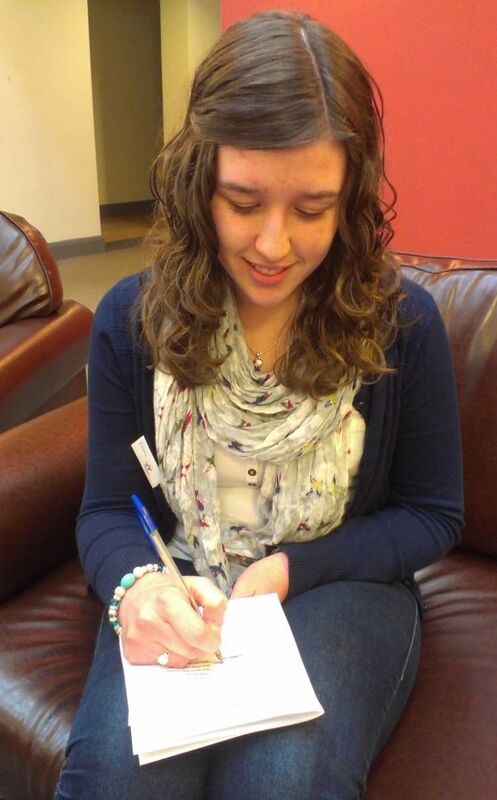 Something that struck me was the wide range of skills that are involved in the work of Wycliffe. There are so many people who aren’t directly involved in translation work and perhaps, before now, I hadn’t fully appreciated the importance of these roles. 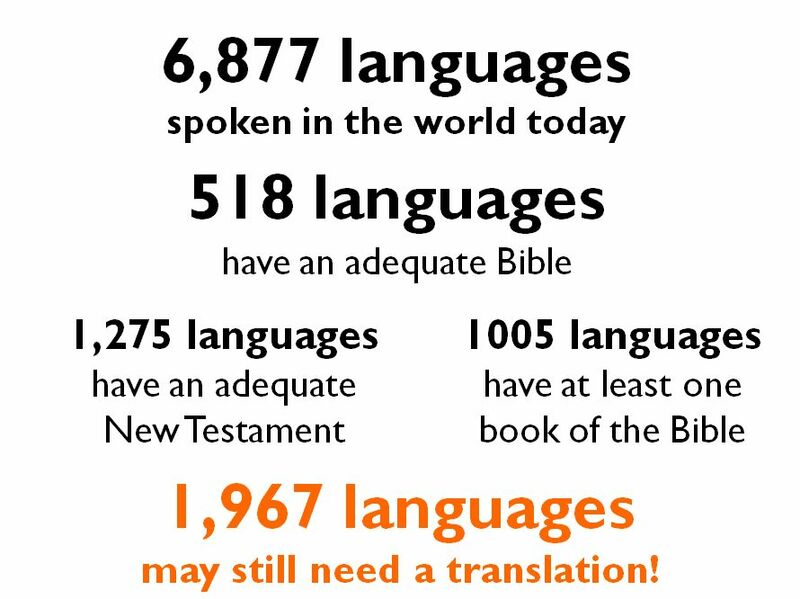 There is clearly such a great need for Bible translation as there are still over 1,900 languages that don’t have any scripture in their own language. Over my few days with Wycliffe, I was reminded afresh of the importance of God’s Word and how all too often we take it for granted. 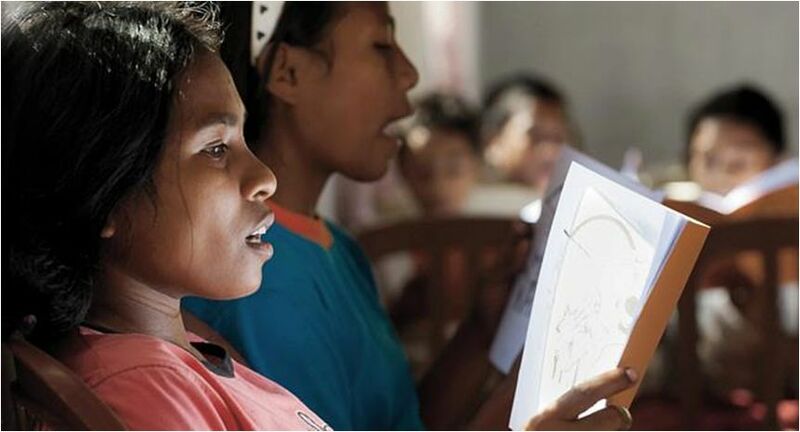 As I watched videos of the dedication of the Kimyal New Testament in Papua, and of people watching the Jesus film in their language for the first time, I was struck by their enthusiasm and desire to read God’s word. The excitement on their faces was a challenge in itself as I thought about how little I appreciate the fact that I have always had the Bible and many other resources in my own language. I find Wycliffe’s vision, to have a Bible translation programme started in all the remaining languages that need one by 2025, an exciting prospect and as I read through lists of completed Scripture in 2012 and 2013, I felt greatly encouraged that God is clearly at work. 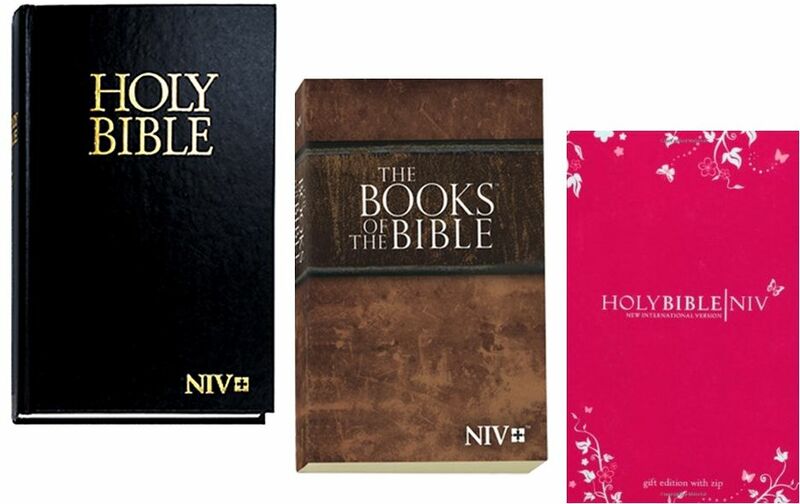 In recent years, so many people have received the Bible in their language and this gives such hope that although Vision 2025 is an ambitious target, it is definitely achievable with God’s help. On Tuesday I enjoyed meeting Clare Orr, who has recently completed her training with Wycliffe and is going to work on literacy projects in Senegal. As I talked to her about the importance of literacy work, I realised that when Wycliffe translate the Bible into a language, it also brings many other great benefits. It is extremely helpful for people to be able to read and write in their own language and it can also improve their education system as it gives them the opportunity to be taught in their mother tongue. On Wednesday, I enjoyed meeting Heather Saunders who showed me photographs of her time in the Ivory Coast and this gave me an insight into the work that she and her husband, Philip, did there. She also taught me some phonetics to show me how they initially went about writing down words before creating an alphabet. The language they worked on – Kouya – is a tonal language and so I was able to see the value of having a musical ear when listening to languages like this. I would say that hearing about her personal experiences from her many years with Wycliffe was one of the highlights of my three days. ’Anzɩ nɛɛ wa -ylaɛ: «A ‘na nyamanɩ -nɩ, nɩɩ, ‘dɩzɔnʋ ɩn -laa aɩn. Mʋ yia nyɩma weee ‘mʋna ‘kadʋ dlɩ zɔ slua. 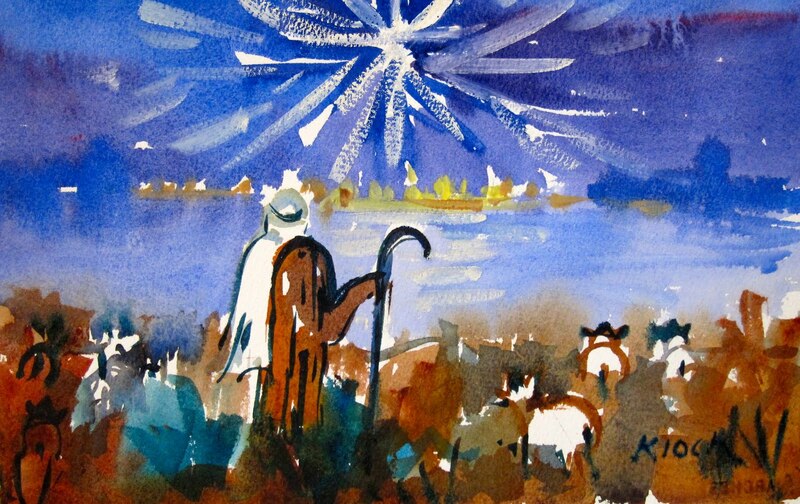 … to remind myself and anyone else listening, that Jesus was born in Bethlehem, not just for the locals or the Jews but for all the people that God has created before and since. Eddie’s blog is a reminder that reading this good news of great joy is hard to grasp unless we can read it / hear it in a language that we really understand. Read on… let the idea seep in – and then take a look at my concluding words borrowed from Eddie’s blog. 1 -Mʋʋ bhla, nyɩmaa ‘wlulapɩlɩnyɔ ‘kadʋ *Sezaa Ogusɩ palɩa tite yabhlo, nɩɩ, wa zɛlɩ ɔ nyɩma weee, dʋdʋ weee -gʋ. 2 Bhla -we nya Kiliniusʋ mɩa Siliii -dʋdʋ -gʋ nyɩmaa ‘wlulapɩlɩnyɔ nya, we bhla wa zɛlɩa nyɩma tɩanʋ. 3 Nyɩma weee yia wa ‘dɛɛ -zɔɔ wa ‘ŋnɩ cɛlɩa mnɩ -bhlo -bhlo. 4 *-Zɛzɛfʋ -mɔɔ yi ‘yaa Nazalɛtɩgbe ‘wʋ ‘bhʋ, Galilee -dʋdʋ -gʋ, ‘ɩn ɔ yia -Davidɩɩ ‘gbe wa laa Bɛtɩlɛmʋ nʋkplɛ mnɩ, Zudee -dʋdʋ -gʋ. -Davidɩɩ zʋayli -yɔ ɔ -budu zɔ -nyɩmɛ ɔ -mɩa, -Davidɩɩ -budu zɔ. 5 Ɔ -yɔ ɔ bhoyi Malii, -ɔ mɩa ‘wlʋwlʋ -nʋkpla ‘sɔ, ‘ɩn wa yia mnɩ, wa ‘ka wa ‘ŋnɩ cɛlɩɩ ‘gbʋ. 6Wa mɩ Bɛtɩlɛmʋ, ‘bhie, Maliii ‘wlusabhla yia nyni. 7 ’Ɩn ɔ yia ɔ ‘wʋkpɩalɩ yu gwalɩ, nʋkpasuyu nya. Ɔ bibelia ɔ ‘naa -yɔla nɩ, ‘ɩn ɔ yia ɔ nɩmaa ‘wʋlili -gbo ‘wʋ lapɩlɩ. Nɩɩ, wa ‘nɩ ‘bɩ ‘yɩ ‘lakpanyaa -budu zɔɔ ‘gbʋ. 16 Wa -sɔa ‘wʋ -gwagwɩe nya, ‘ɩn wa yia -mɔ mnɩ. ‘Ɩn wa yia -mɔ Malii -yɔ -Zɛzɛfʋ ylɩ. ‘Yuyolu pɩ nɩmaa ‘wʋlili -gbo ‘wʋ la, ‘ɩn wa yia ɔ ‘yɩ. 17 Da wa ‘yɩa ɔɔ ‘yuyolu nɩ, -we ‘anzɩ gbaa wa -yla ɔɔ ‘yuu daa, ‘ɩn wa yia we ‘dɩsasɩe bhli nyɩma tɔlʋa -yla. 18 Gbʋ -we bhlabhlɛɛ ‘yliyɔzʋnya gbaa, -wa weee ‘nʋa we, ŋwɛgaga sʋbhaa wa. 19 Gbʋ weee ‘plɩa, Malii yia we dlɩ zɔ ladɩlɩ. Ɔ -ka ladɩ, -zugba ɔ pʋpalɩ we -gʋ ‘wlukʋʋn la. 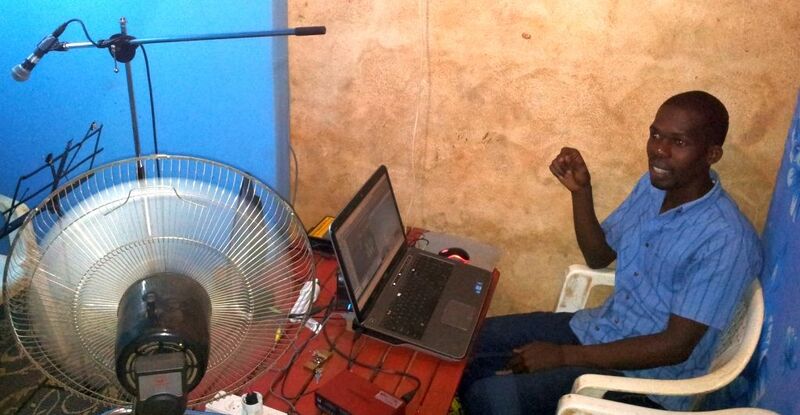 20 -Mʋʋ ‘bɩgʋ, ‘ɩn bhlabhlɛɛ ‘yliyɔzʋnya yia lʋmnɩ, -Lagɔɔ ‘ŋnɩ ylimanɩe -yɔ ɔ ‘ŋnɩ mnɩnɩe nya. -We wa ‘nʋa klaa, ‘ɩn wa ‘yɩa -yɔ klaa, nɩɩ, sa ‘anzɩ gbaa we wa -yla, ‘sa we nʋa. Luke 2:1-20 in Kouya. If you couldn’t read this; please remember the 340 million people around the world who have no record of the Christmas story in their languages. 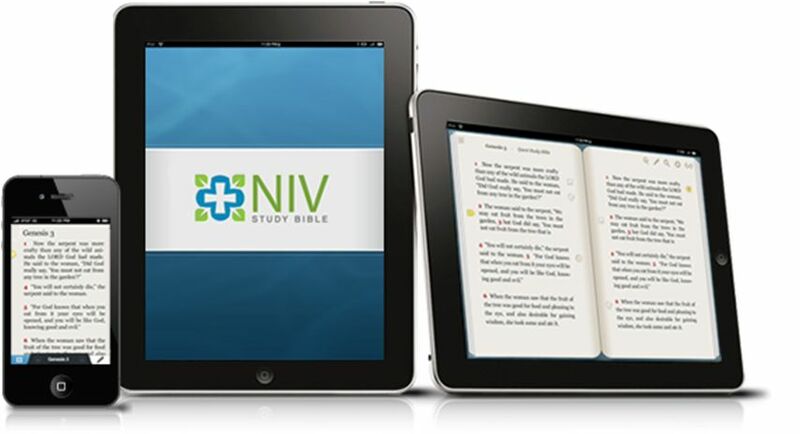 Perhaps 2014 could be the year when you get involved in God’s amazing work of Bible translation. 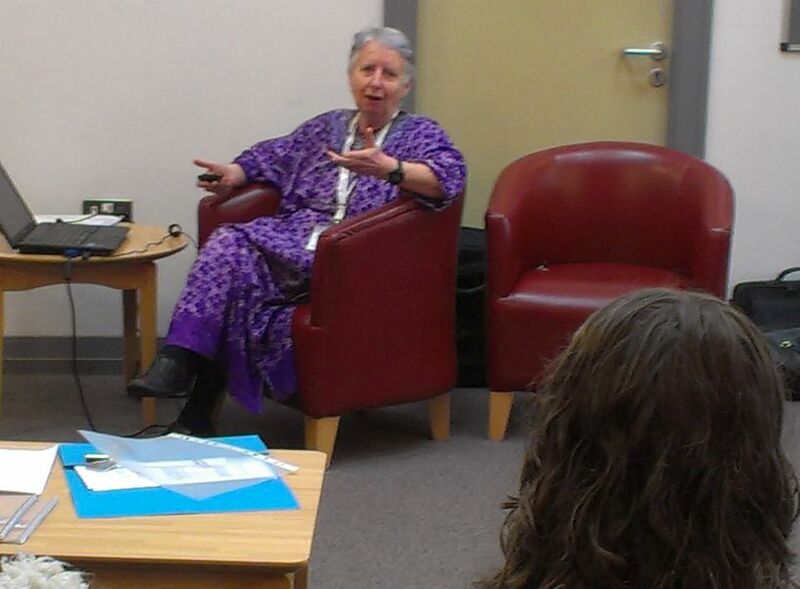 On Monday 22 July past, it was a pleasure to co-present a seminar at New Horizon 2013 with Stephen Cave of Biblica. Here is roughly what I said with some of the visuals. Something the church can do something about. But let’s leave that for a moment and do some Bible translation. The Inga people of Colombia have had the New Testament for many years, but so many do not. and most importantly, the Creator God who translated himself from divine into human in the person of God the Son. 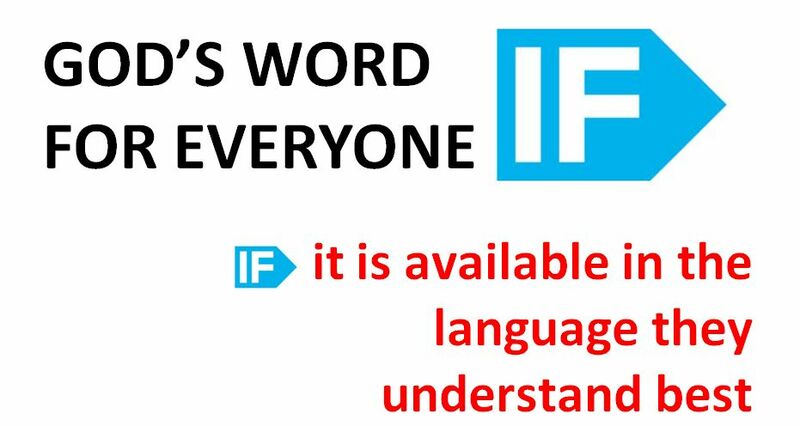 The principle comes from heaven – people should be able to hear the Word of God in their own language. 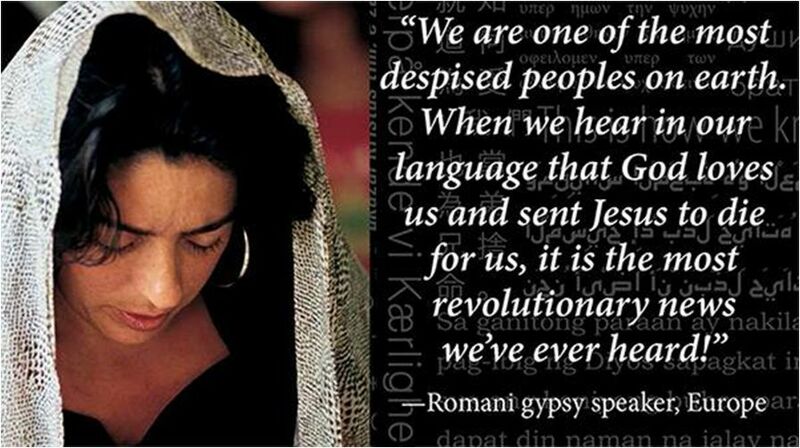 No one should have to learn a foreign language to hear about Jesus. 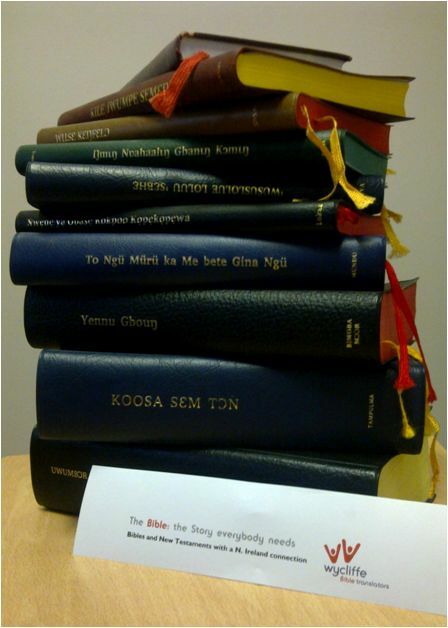 Here are some of the Bibles and NTs from around the world that we have in our Belfast office. 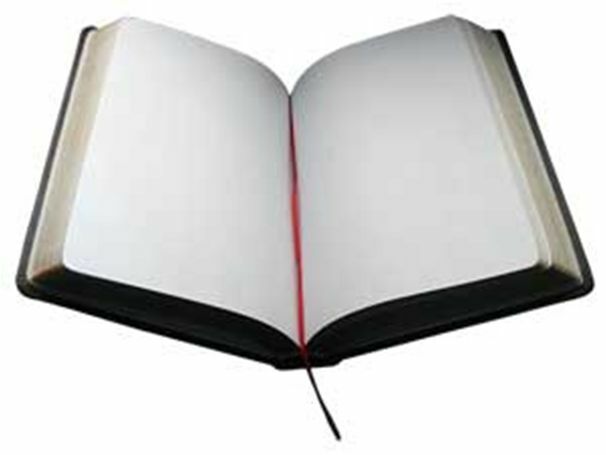 But for so many, the Bible looks like this! 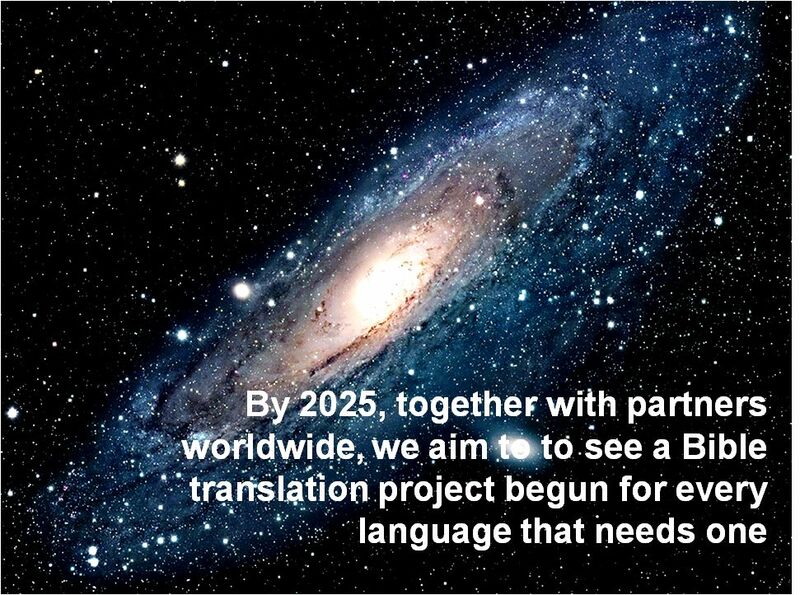 We believe in a world where translated Scripture transforms lives. Will you share it? Will you and your church be concerned about it? Will you do something about it? 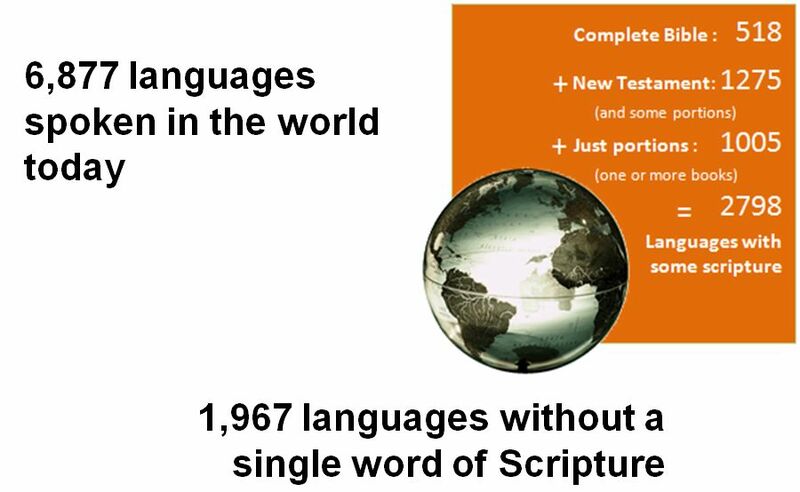 You can finish this blog by watching this video Feast or Crumbs..
… and now pray about how God may be nudging you to help with Bible translation for the almost 2,000 languages with no Bible at all.